A 3 bedroom flat located on the top floor (with lift) of a purpose built apartment block close to Exmouth Market. Available furnished from September 2017. The property comprises 2 double rooms, family bathroom, reception room/3rd double bedroom, fitted kitchen and a large entrance/dining hall. 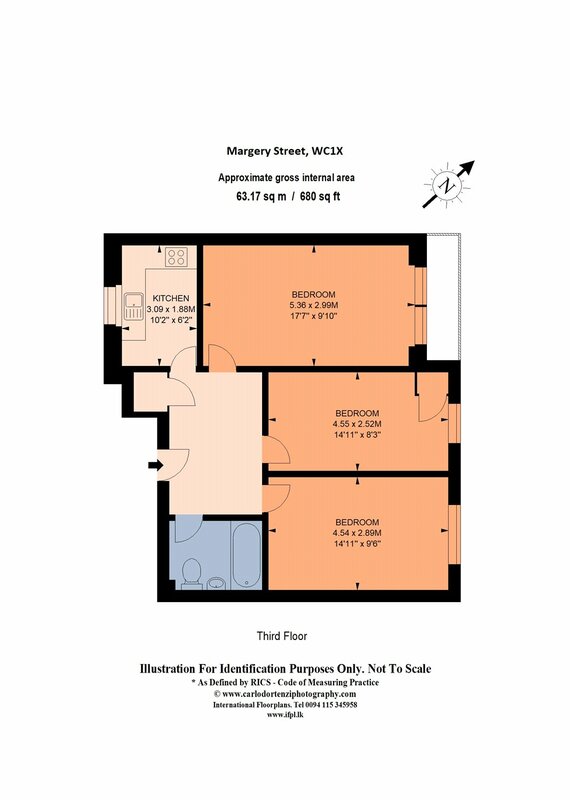 The apartment is currently arranged as 3 bedrooms with the spacious entrance hall used as a living/dining area. 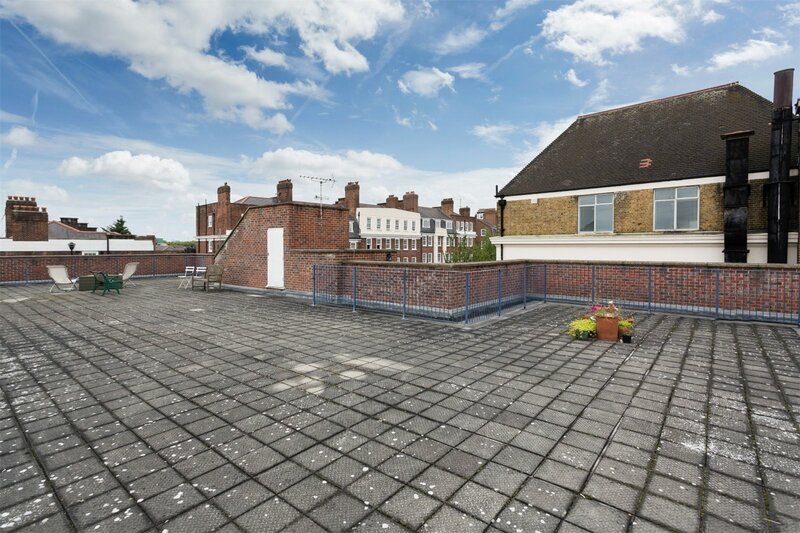 The flat benefits from a private balcony with the added advantage of use of the large communal roof terrace offering panoramic views across the capital. 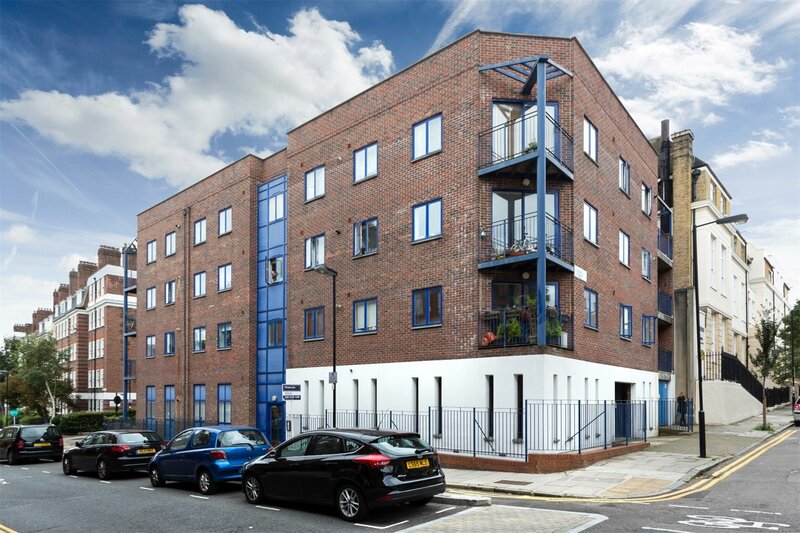 Merlins Court is ideally located for all the amenities of Clerkenwell, Shoreditch, Islington and King's Cross. The location is very well connected for train, bus and cycle links. Margery Street is on the central London cycle route, with major buses routes running from nearby Amwell Street, Farringdon Road and Rosebury Avenue. Angel underground station 0.2 miles, Farringdon station 0.5 miles and Kings Cross St Pancras 0.8 miles (all distances approximate).